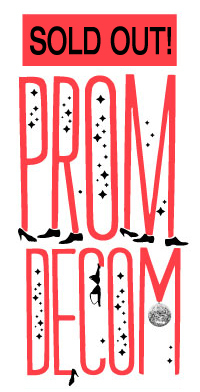 PROM DECOM: Victoria’s First Official Burning Man Decompression! All of the elements of Prom Decom will now be held at the beautifully renovated Sunset Room! Join us starting at 9pm in an enchanted Under The Sea menagerie for the variety show, fire performances, bar, and amazing music to keep you dancing in the spirit of Prom all night long! We would like to thank you in advance for supporting the KindleArts 2012 Decompression Event! When you purchase your ticket online you will be given an opportunity to support this event by lending your time as a volunteer. We welcome stage performers, DJs, fire performers, rangers, VJs, and displays of art. 11:00pm – Sublingual DJs the Prom Dance! ABOUT: This is a 19+ event! Our supercharismaticexpialiadocious Emcee, the wonderful Miss Amanda Crocker will lead an evening of on-stage debauchery and revelry! Fire Performances are on the menu here, as well as a full bar, and a community Art Gallery curated by CoRE visionary artist Kym Spencer. COST:Tickets are $10 in advance or $12 at the door. ABOUT: All Ages Welcome! In true Victoria fashion, the after party will be held at the newly renovated Sunset Room!